The A.S.P.E.N. Strategic Partnerships team is already counting down the days until Clinical Nutrition Week 2016 – 162, in case you were wondering! We are already tackling one of our favorite aspects of the conference by focusing on bringing our attendees a robust supplemental offering of educational and networking opportunities by partnering with the top industry leaders. The CNW Corporate Sponsorship program is specifically designed to connect you to industry resources that directly impact your line of work and keep you up to date by learning firsthand about the ever-evolving clinical nutrition marketplace. Attendees are encouraged to take advantage on this invaluable opportunity to meet face-to-face with other professionals to gain both evidence-based knowledge and products and services to bolster your practice. Registration for CNW16 officially opens to every one Monday, August 10th. Housing is first-come, first-serve, so do not hesitate to get first dibs on housing and earlier access to essential details! 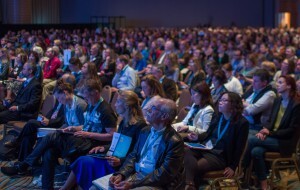 After registering, be on the lookout for more information on the cutting-edge, live presentations on the CNWExpo Central Stage and additional learning-focused educational sessions outside official conference programming by leading clinical nutrition industry experts. Some sessions will even offer additional opportunities to receive continuing education credits! We can’t wait to see you at Clinical Nutrition Week 2016 this January in Austin, Texas!